The Browse as User Role add-on is only available with a Developer or Business licence. You can browse your website from the translation editor as yourself (logged in) or as a non-logged in user. This allows you to translate pages or strings that are dynamic based on the logged in / non-logged-in status. 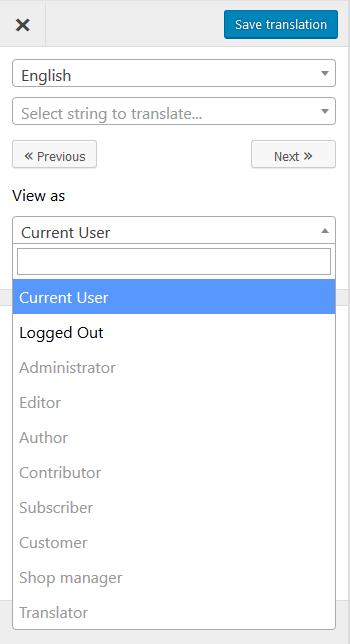 The Browse as User Role add-on allows you to select any user role, then view the site like a user with that role would see it. This makes it really easy to translate role specific content.